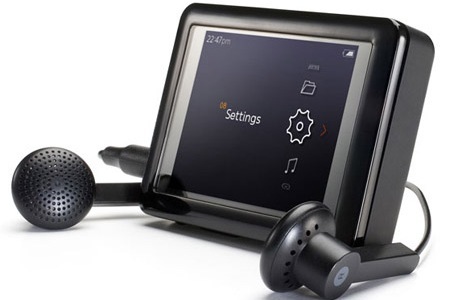 The manufacturer of digital audio players and other portable devices, iriver has launched its sleek and stylish PMP, named as Lplayer, featuring a wide, colorful 2-inch TFT LCD screen (320X240 QVGA), built-in digital FM tuner, integrated voice recorder and iriver’s unique D-click control system, which allows users to navigate the device by pressing on the outer edges of the screen. The sleek and cool iriver Lplayer can support wide variety of file formats, including MPEG4, WMV9, XVID, MP3, WMA, ASF, OGG, FLAC, JPEG, BMP, PNG, GIF and txt. The 4GB and 8GB iriver Lplayer coming in black, chocolate, pink and white color are available for about $110 and $160, respectively. Check more specifications of iriver Lplayer on its official site.